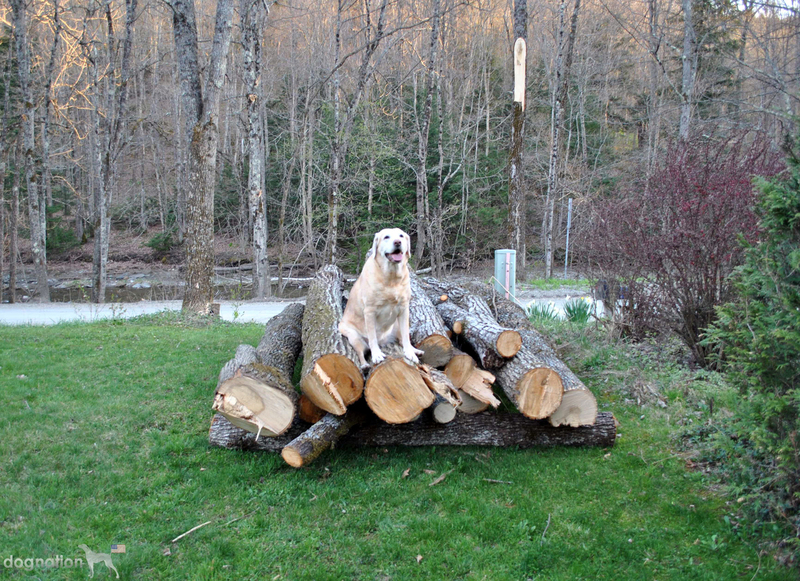 Sola not only fetches, she stacks too! Wow Sola. They really put you to work. Must be tiring felling trees. Whoa, Sola – you sure did find some BIG sticks.